Time to Talk Day, run by Time to Change, will take place on Thursday 1st February 2018. The aim is to get as many people as possible across England talking about mental health. By joining together on one day, we can break the silence that often surrounds mental health, and show that talking about this once-taboo issue doesn’t need to be difficult. 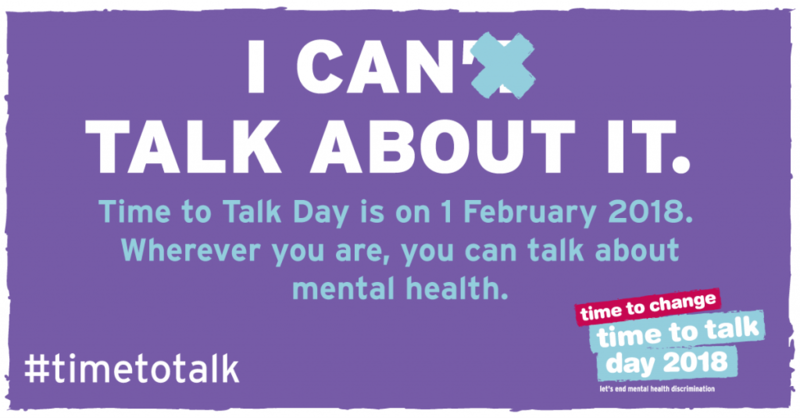 The aim of Time to Talk Day is to get as many people as possible across England talking about mental health. By joining together on one day, we can break the silence that often surrounds mental health, and show that talking about this once-taboo issue doesn’t need to be difficult. With tens of thousands of individuals and hundreds of organisations speaking out together at the same time, we can make a huge impact and show that it really is time to talk. Talking to someone is the most important thing. If it’s a friend, a loved one, a colleague, it doesn’t matter. You can’t keep things bottled up and expect them to go away. I wish I had known that sooner, then maybe I wouldn’t have gone through years of medicated heartbreak. 1 in 4 of us will have a mental health problem. That’s an awful lot. It isn’t something to shy away from. The more we talk about what’s going on in our heads the better. 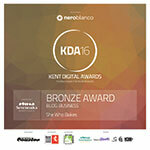 It’s time to break down any barrier, get rid of any stigma and just have a chat. When I had depression, I can remember being in college and a friend of a friend telling people she had been diagnosed with bi-polar. This was over 10 years ago and it wasn’t spoken about very much at all then. No one knew what to do, what to say. But that’s the thing, you don’t have to say anything specific. 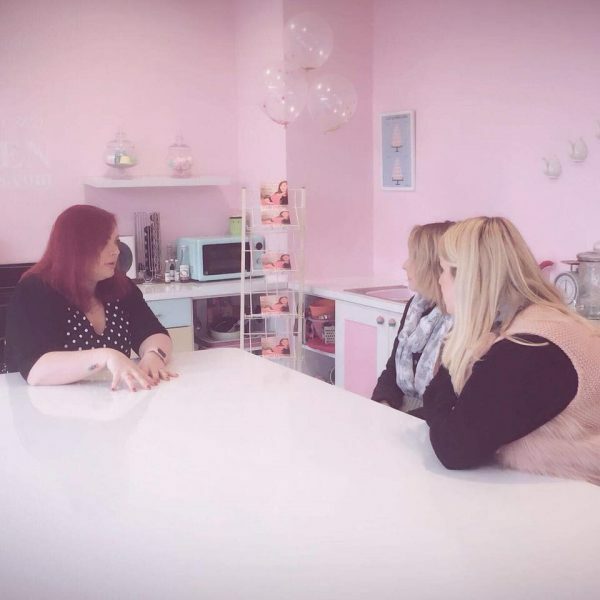 I’ve had a few people approach me over the years who knew me when I was at my lowest and openly admit ‘we didn’t know what to say.’ Little did they know a simple ‘are you ok?’ and a good cup of tea would have been a great start. Now, years later, I want to help change the way mental health is spoken about and break down any stigma attached to it. I’ve worked with Time to Change in a few campaigns now, such as their Small Things campaign last year and now Time To Talk Day 2016 with Good Morning Britain. 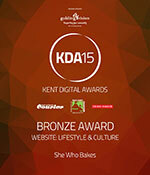 I’m very proud to be doing stuff with this fantastic charity. As it’s #TimeToTalk day, I wanted to share this video my fiancé Tim and I took part in with the mental health organisation Time to Change back in 2015. My mental health has suffered somewhat over the years since I was 16 and whilst I am pleased to say I am in a much better place than I have ever been, the darkness that nearly consumed me and so many other people face every day is nothing to be ashamed or embarrassed of. The more we talk about our mental health, the more we can de-stigmatise it. I can remember not wanting to tell my manager at the time that I was in such a bad place. I was scared I would lose my job for fear of looking ‘unreliable’. It was only after I had that initial conversation with him though I discovered how supportive he and the company I used to work for were. If you’re struggling, please talk to someone. My partner, Tim, is the person I can talk to about anything. It doesn’t matter if it’s big and emotional or small and trivial, he listens. Sometimes, he knows there’s nothing he can say to help and that’s great too, just getting it out in the open is usually enough. But, we look at what’s going on and try to do something about it. You’re not a burden, you’re not being awkward, you’re not alone. You are you and you are amazing. 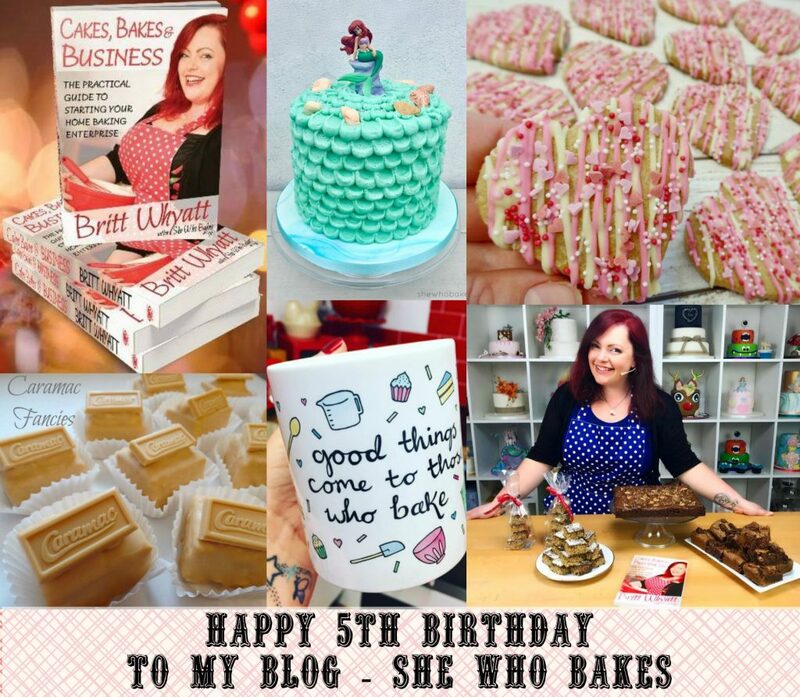 Happy 5th Birthday to She Who Bakes! Today is a very special day for me! 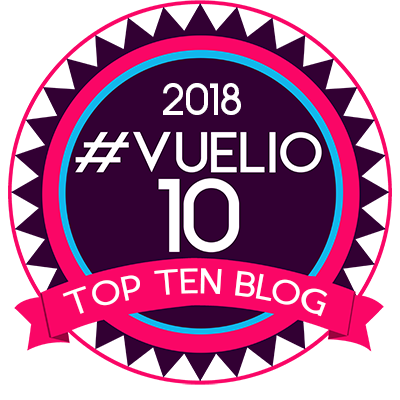 My little blog has tuned five years old! 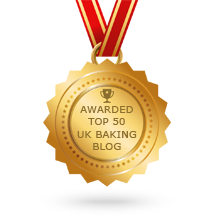 On this day back in 2013, I published my first ever baking blog post. I had no idea back then what it would become or where it would take me. I didn’t start it for a purpose or a reason, I started it to make myself smile in a time when there were more dark days than light. Those who have followed me for a while may know my story. You will often hear me say that I ‘baked my way out of depression’ and it’s true. Teaching myself how to bake, creating cakes and writing about them got me out of such a bad time in my life and I’m so grateful for it. Before I found a passion and creative spark, I was two suicide attempts down and on a whole host of medication just to keep me going. All that is different now. I may not get time to bake as much as I used to but each and every time turn the oven on and start to weigh out ingredients, I absolutely love it. Now I can also say I am a published author, with my first book ‘Cakes, Bakes & Business’ getting to number one in two Amazon charts. My mum would be so very proud of me. 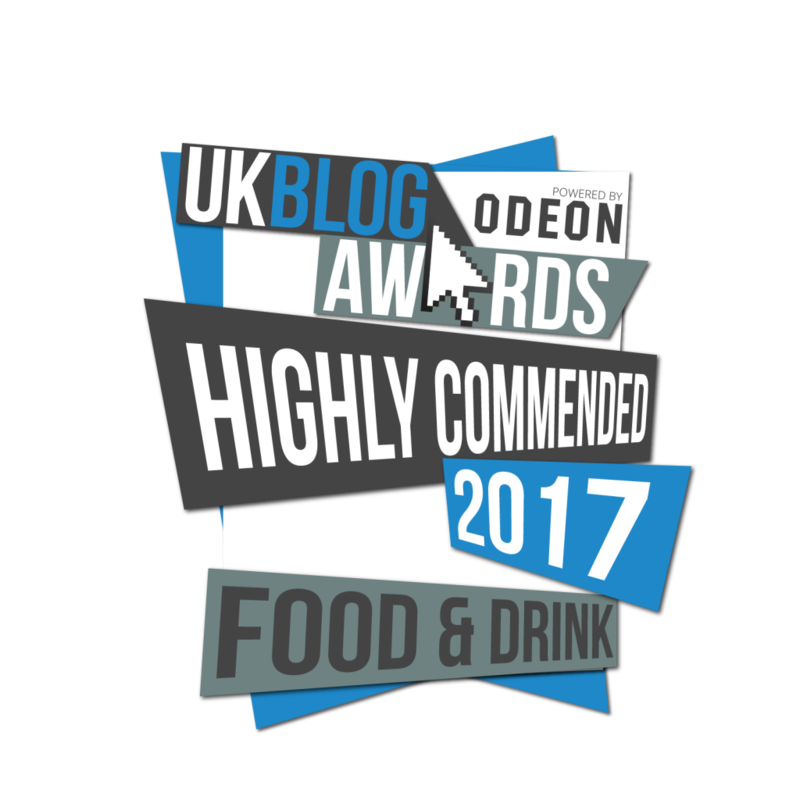 I just wanted to personally say a massive thank you to everyone reading this. 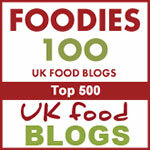 Thank you to every one of you who reads my blogs, has read my book, uses my recipes, tips or tutorials, watches my videos and likes what I do. Whether you have been following me for all five years, five months or even five days, I am so grateful to you all. 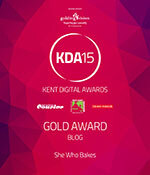 I look forward to many more wonderful years of She Who Bakes. 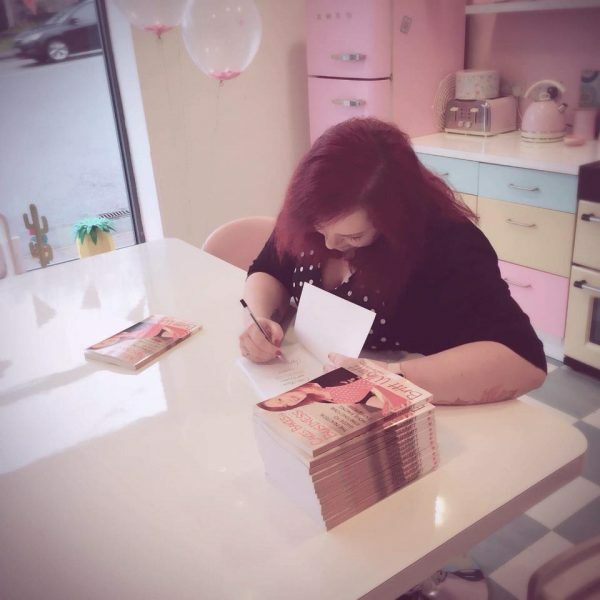 Book Signing and Q&A at Iced Jems! I feel so very fortunate to have some of the most amazing people in my life. 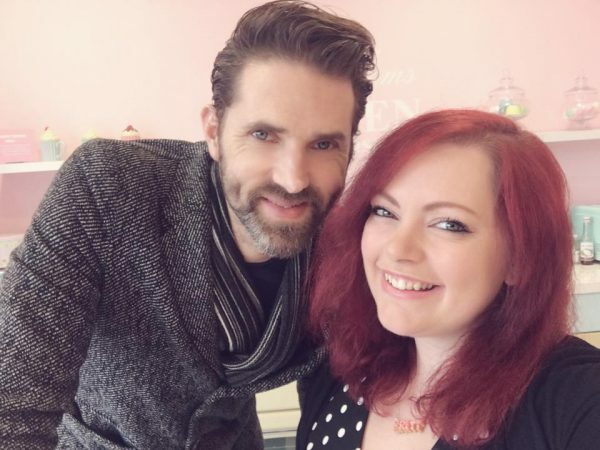 One of whom is Jemma, who runs a shop called Iced Jems. 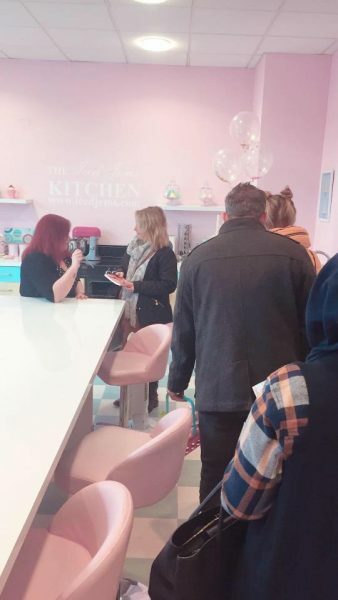 I say shop, it’s more of a fully realised pastel dream filled from top to bottom with all of your cake based desires. Jemma and I have been close friends for a number of years now and I am very grateful to have her and her unwavering support in my life. She is one of the people responsible for me writing a book in the first place! 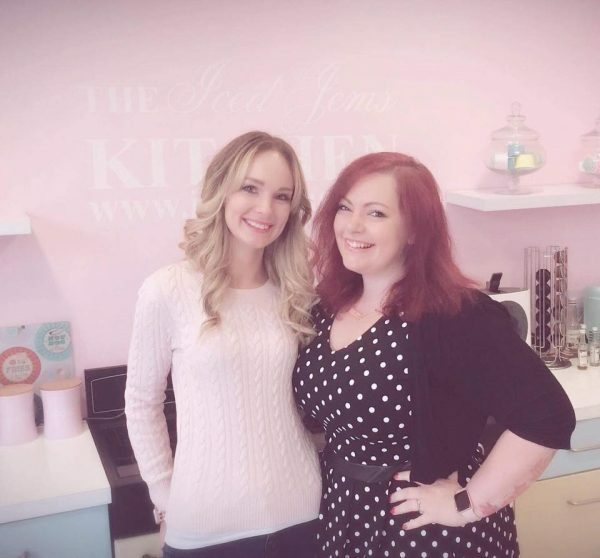 I’ve taught classes at Jemma’s shop up in Stourbridge over the years and *spoiler alert* I may be back later this year teaching again (watch this space). 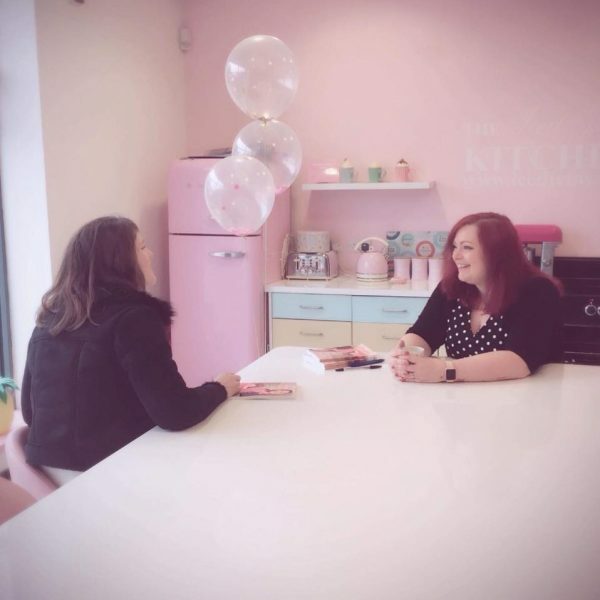 So when my book came out and we spoke about me doing a book signing and Q&A event in her beautiful store, I was so excited! 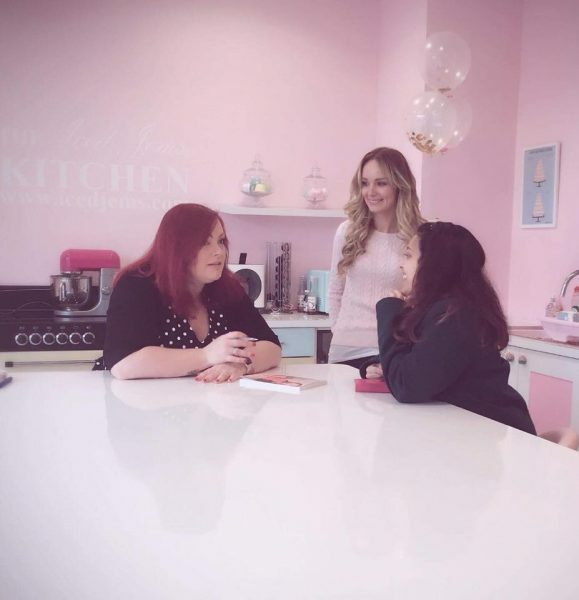 The event took place last Saturday 27th January and I had such an amazing time! 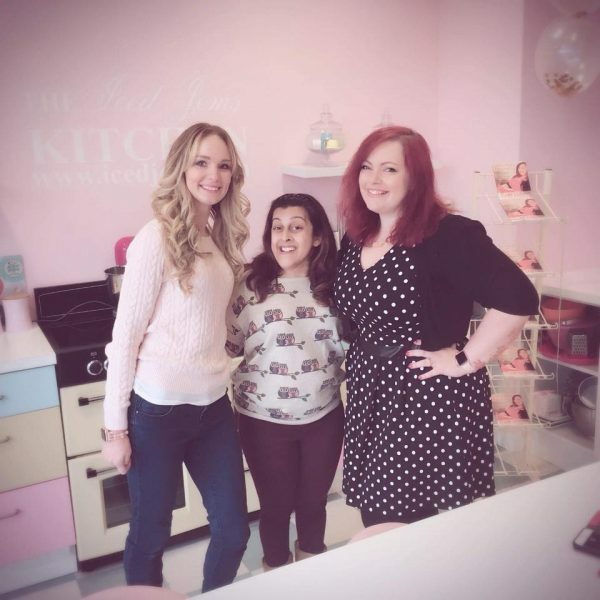 I really enjoyed chatting to super talented and passionate bakers about taking the next step in their cake career. A massive thank you so much to everyone for coming to say hi! 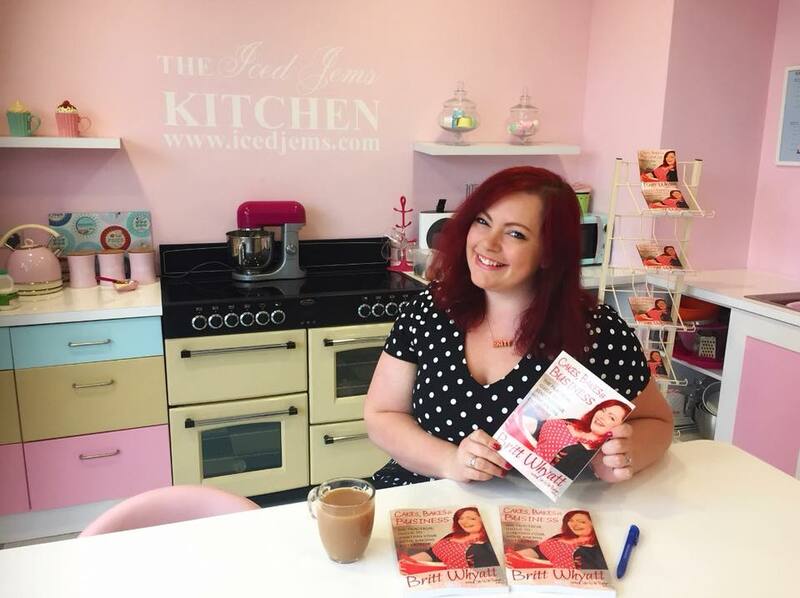 I’ve been overwhelmed at the support and kind words for my book Cakes, Bakes & Business! 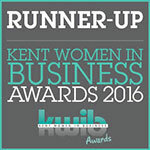 Thank you again to Jemma for hosting and thank you of course to my wonderful future husband Tim for coming along to support me as always! I met some incredible people and had such a wonderful time. If you follow my Twitter or Instagram you may know that a few years ago in 2015, I developed a rather severe egg allergy. It happened almost overnight and one day I could eat eggs fine, and the next I was in hospital in agony. The rather bizarre thing was, eggs baked into cakes and cookies etc, I would be absolutely fine with. But scrambled, poached, omelettes and even quiche was out of the question. I would be rolling around in agony and I wasn’t up for that to be honest so I completely cut eggs out of my diet (with the exception of cakes, luckily!). I found a bit of information about this kind of allergy here and here if you’re interested. Since then I’ve been researching for egg substitutes in goodies that have made me unwell, meringues being one of them. 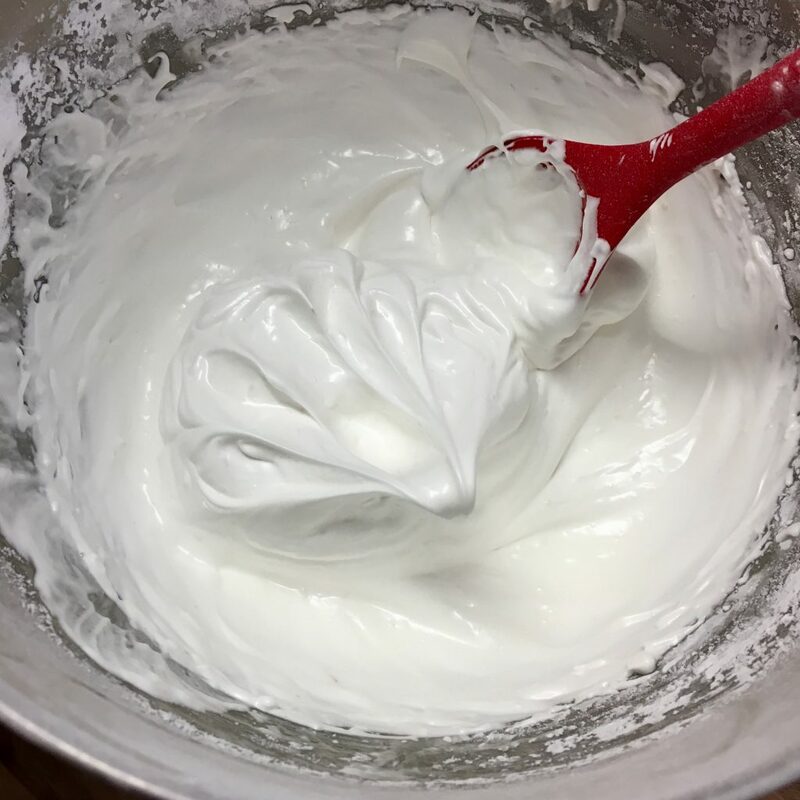 I saw online that you could actually make meringue from aquafaba, which is the water from a can of chick peas! 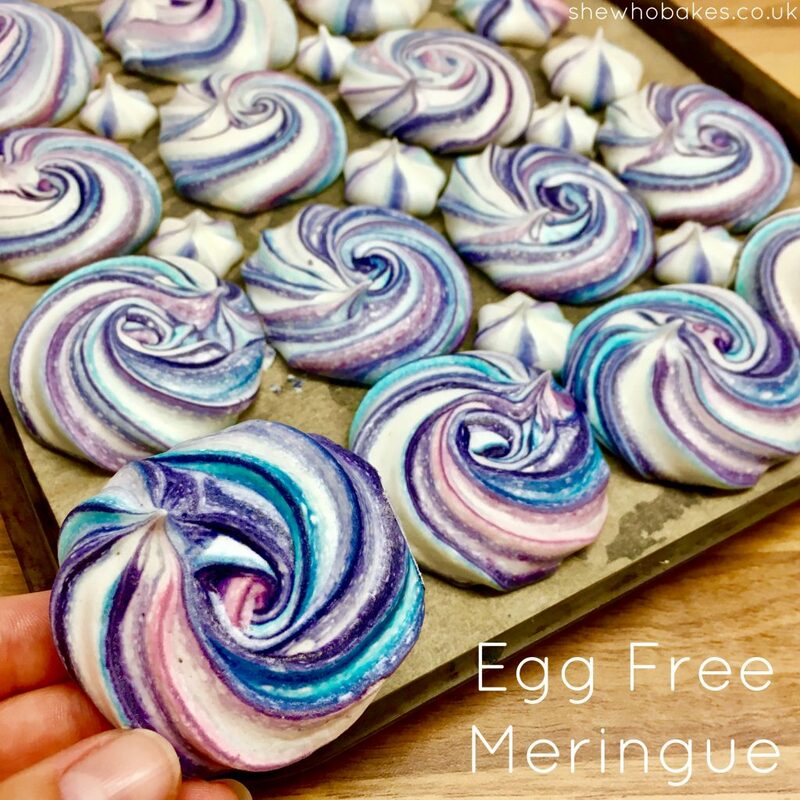 I was ultimately rather skeptical, but having watched a few videos and read a few blogs, such as this one from Sainsbury’s, I wanted to give it a go myself to see if I could enjoy meringue again! It had been on my list of things to make but as of late I had been taking a little bit of a baking break, then this afternoon I had made this gorgeous Spanish Chickpea and Spinach Stew by Lazy Cat Kitchen and just as I was about to drain the precious aquafaba down the sink, I remembered; MERINGUE! It’s ultimately exactly the same process as normal meringue. 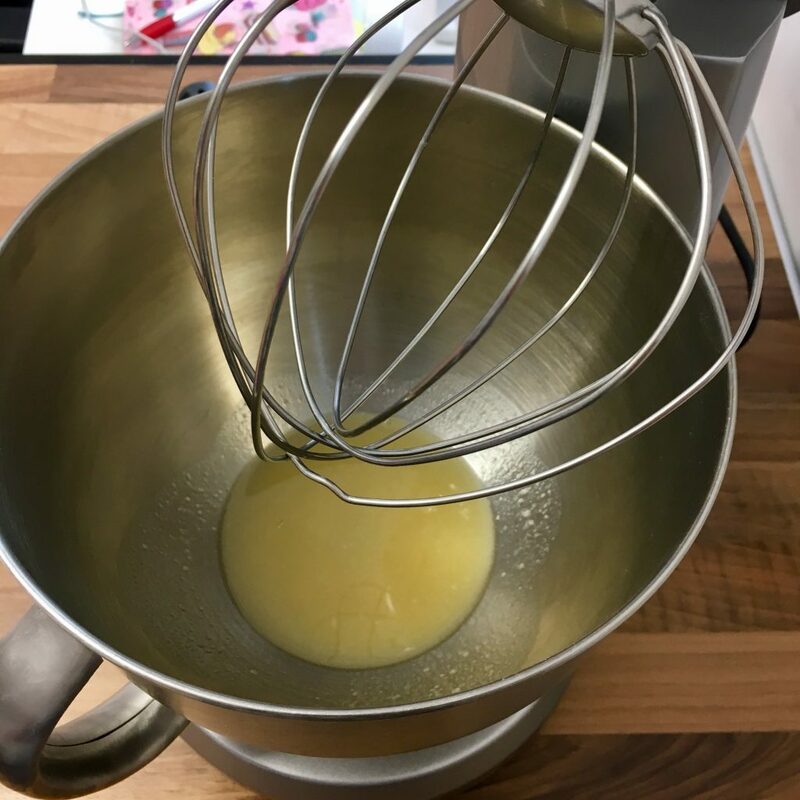 Whisk up the ‘egg’, in this case aquafaba, add in flavouring and dry ingredients, pop on a baking tray and leave in the oven for 7 days. Ok, only a few hours but it feels a lot longer when you wanna see what it turns out like! 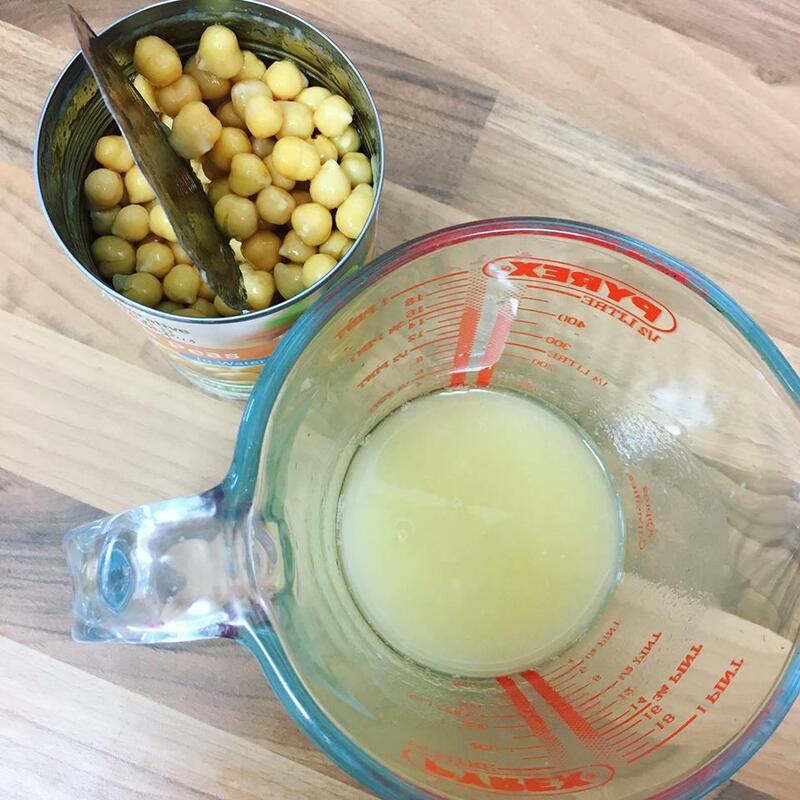 1 x 400g can chick peas, drained. (For the actual chick peas, I highly recommend the stew recipe I’ve linked above! It was delicious). I’ve seen other recipes with cream of tartar in it, which I should have probably used but I didn’t have any in the cupboard. 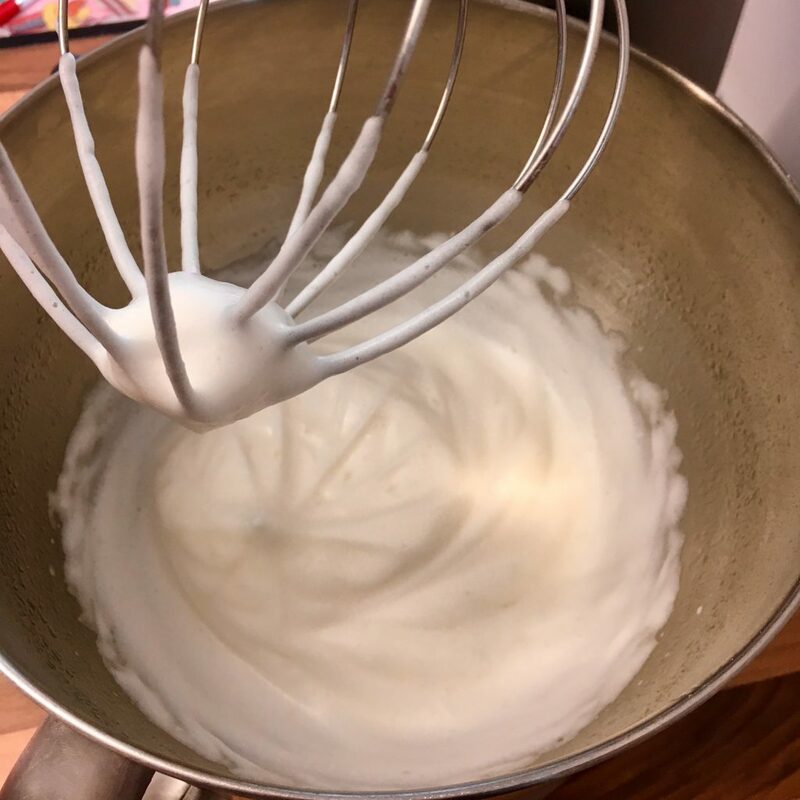 Whisk up the aquafaba on a high speed until it goes white, fluffy and has ‘soft peaks’. NOTE: This took longer than it usually does with normal egg whites so persevere and keep at it. Add in the vanilla and icing sugar one tablespoon at a time. 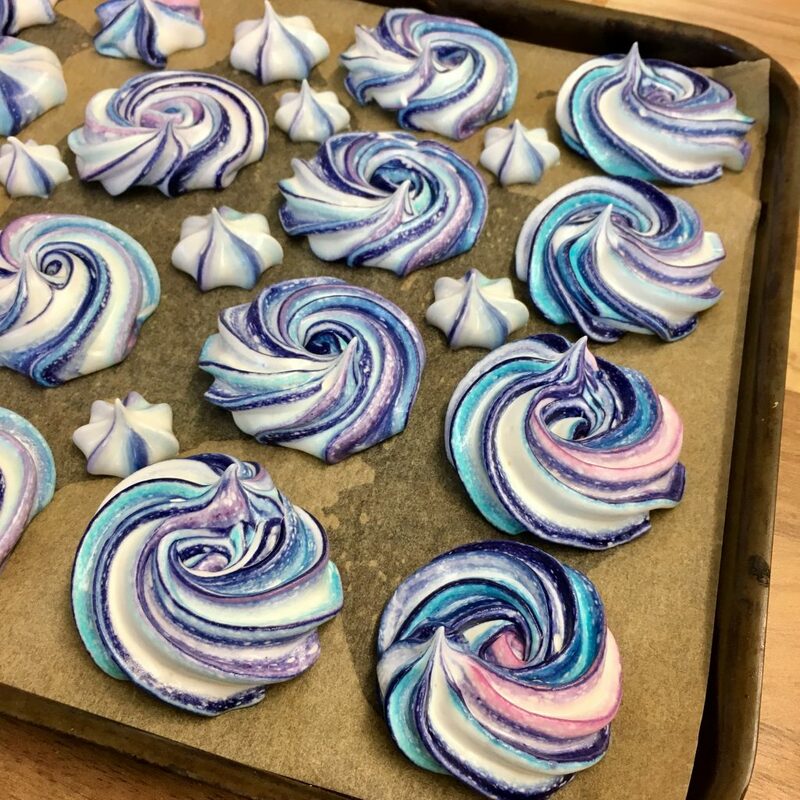 There are so many options when it comes to meringue designs. You can pipe it into an attractive shape, blob it on using a spoon, make kisses using a star nozzle, the choice is up to you. Whatever you decide, put your meringue onto a baking tray lined with greaseproof paper. I went with a mixture of kisses and swirls, because why not. I also wanted to add a bit of colour to mine as I love all things bright and colourful. 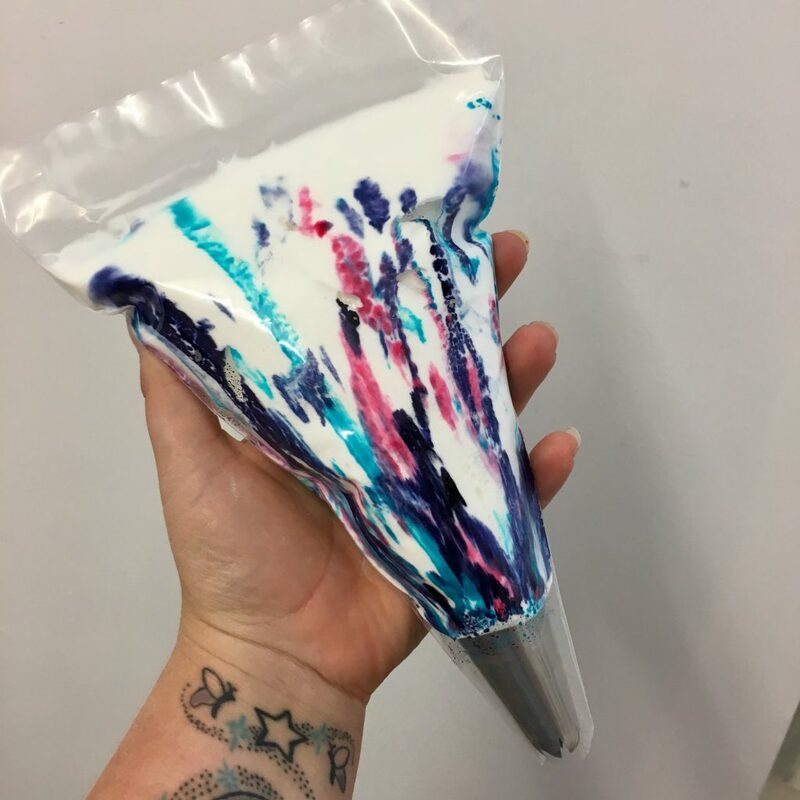 I fitted a disposable piping bag with a closed star 1J nozzle and painted Sugarflair concentrated food colouring up the sides of the piping bag. For this I used Deep Purple, Aqua Blue and Baby Pink. For more detailed photos on this aspect, check out my other blog post here about dyed buttercream. They piped the same as normal meringue. So far, so good. 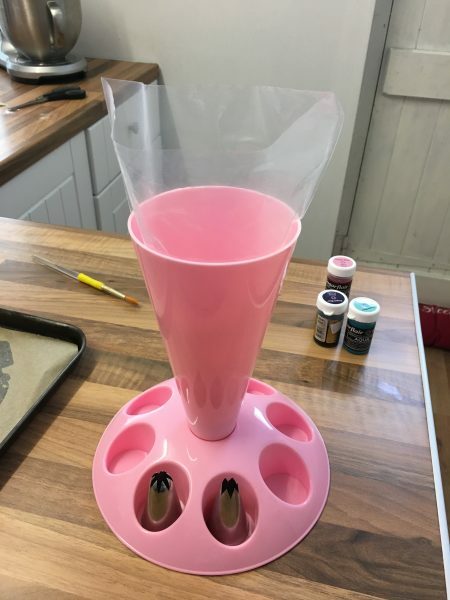 I also used a piping bag holder from Iced Jems which has been a life saver. Do you know how many times I’ve dropped a piping bag while trying to fill it one handed? Lots. Lots of times. 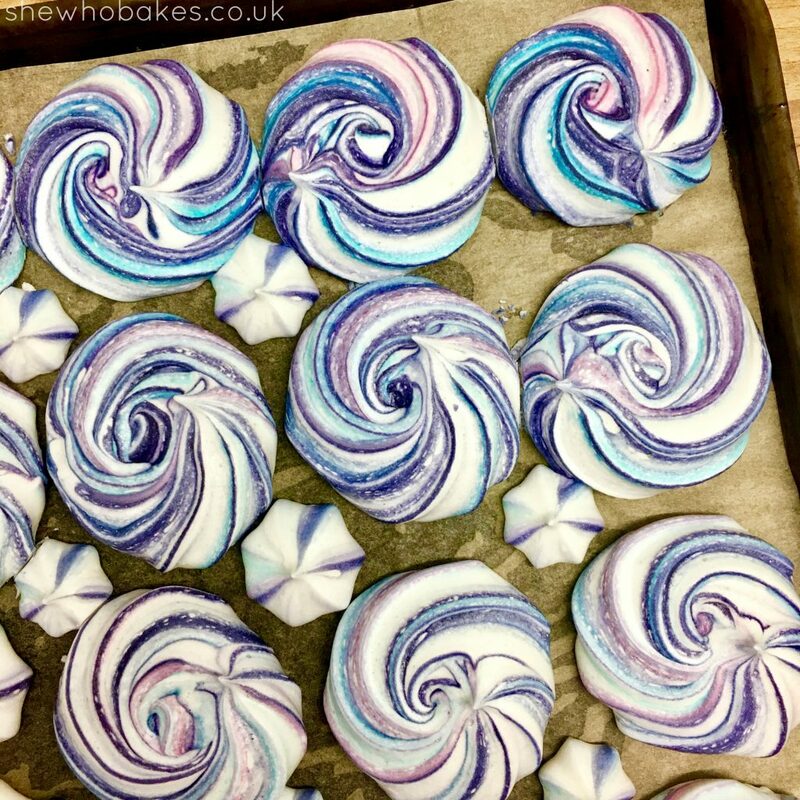 I then piped my swirls and stars onto a greaseproof paper lined tray and baked at 90ºC fan assisted for 2 hours, then turned the oven off and left them in there until the oven had gone cold. I actually turned the oven off and went out for the evening so I couldn’t tell you exactly how long they were left in there but I would personally leave them in for a further hour at least once your oven is off. The fab thing is, they taste (to me anyway) like ordinary meringues! I’ve not had them in a while now but they certainly taste how I would expect them to! Finally meringue is back on the menu for me and I’m rather happy about it! Make sure to keep them in an airtight container to stop them going soft. They should last 3-4 days.